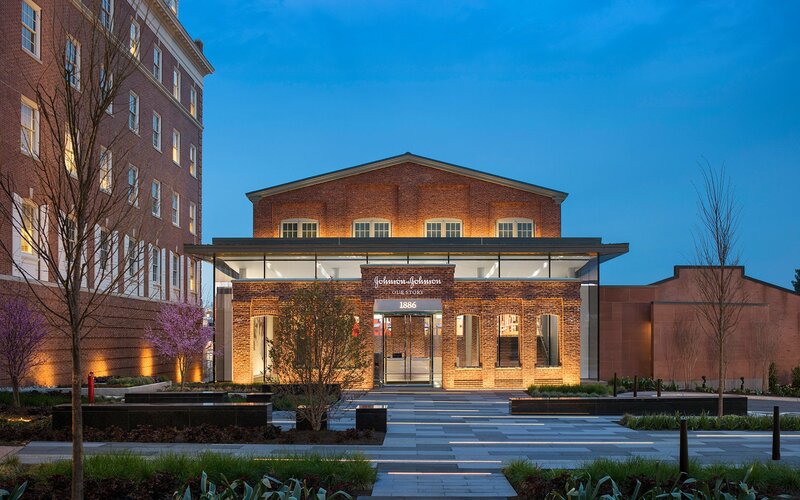 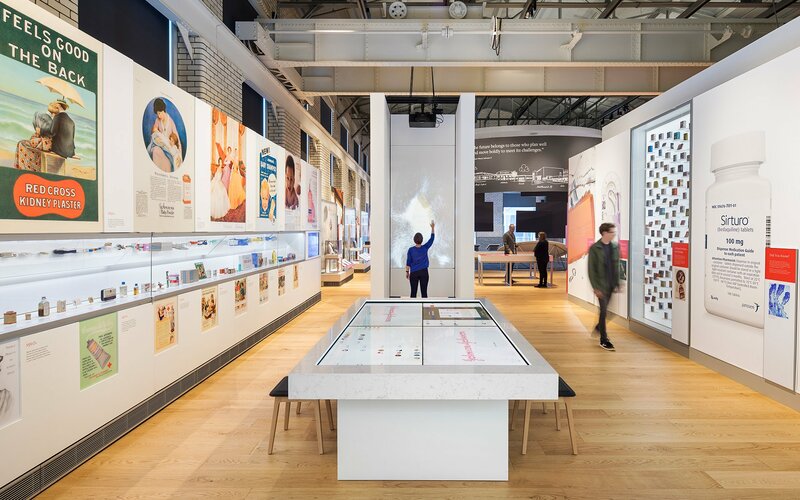 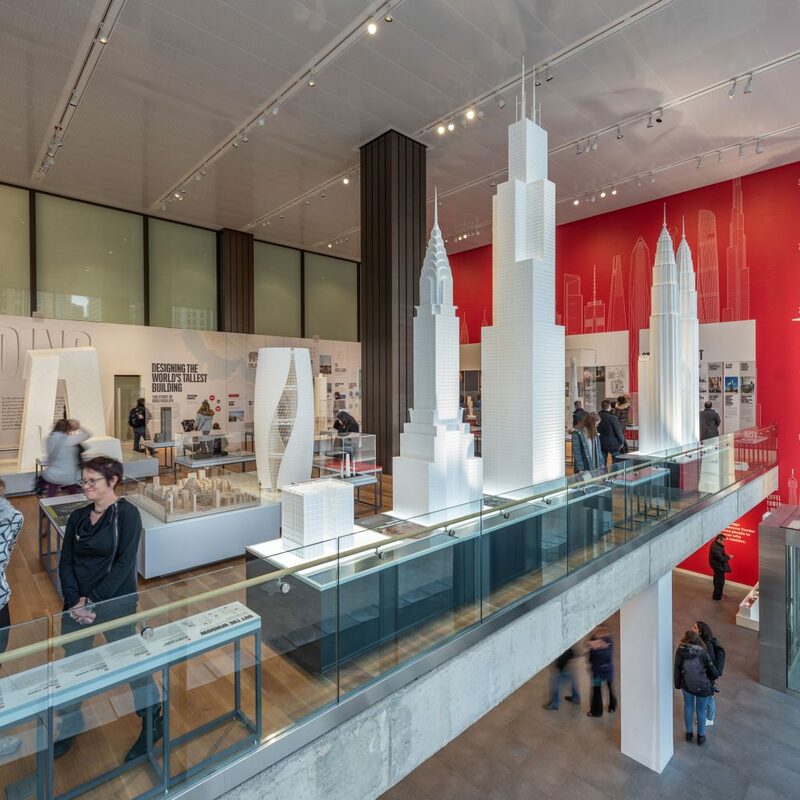 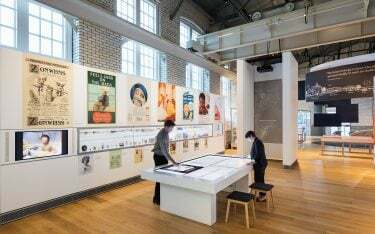 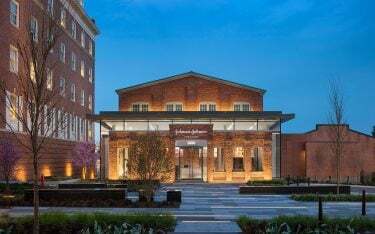 With an emphasis on Johnson & Johnson’s heritage of caring and the impact of their innovations on the lives of people worldwide, the new Johnson & Johnson Museum—Our Story gives visitors the opportunity to form emotional connections and develop a sense of pride in the worldwide organization. 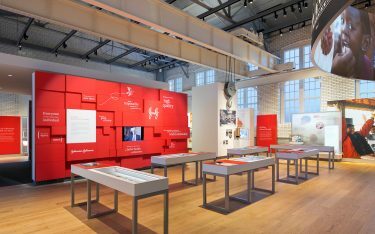 The immersive museum is housed within the 1907 Powerhouse, the oldest building of the company’s global headquarters in New Brunswick, New Jersey. Eleven unique exhibits include interactive timelines, first-person accounts, multisensorial environments, and a curated collection of artifacts dating back to the beginning of the company. Among the highlights are the first commercial first aid kits, lifesaving medicines, and nostalgic packaging. 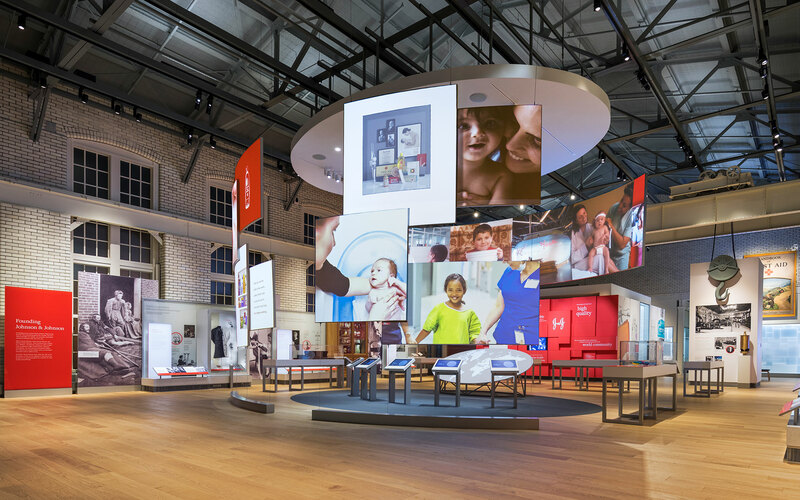 Visitors will see and feel the company’s Credo come alive through their values and visions of helping people live longer, healthier, happier lives by caring for the world…one person at a time. 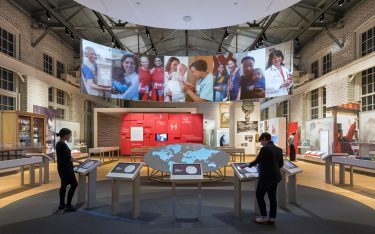 Through an interactive globe, visitors can explore photos and stories about the company’s contemporary initiatives worldwide. They can also watch videos played on the large screen for a group experience. 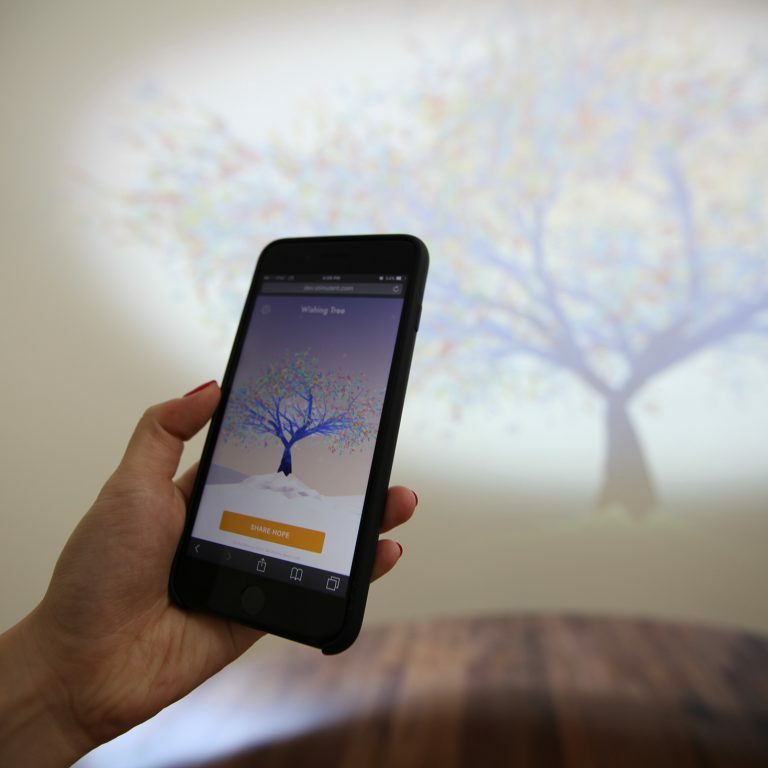 The multisensory booth—that uses smell, sight, sound, and touch—highlights an iconic company product to show visitors the powerful connection between scent and memory. 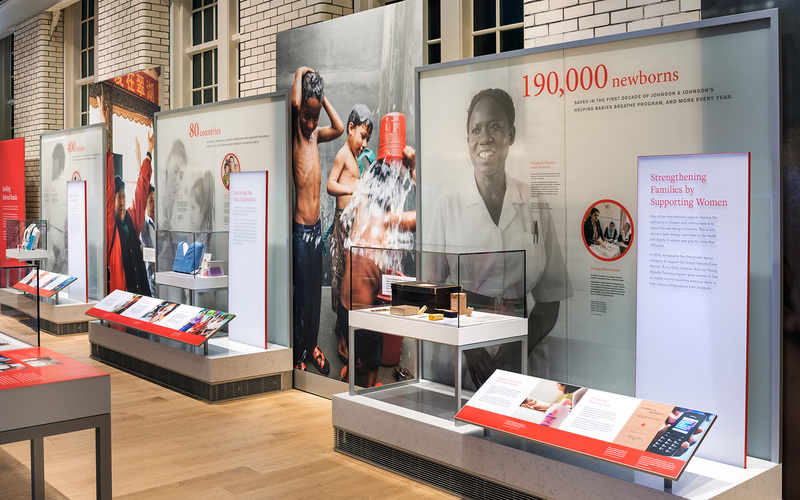 The multi-user interactive timeline captures the company’s contributions to human health within the context of world history. 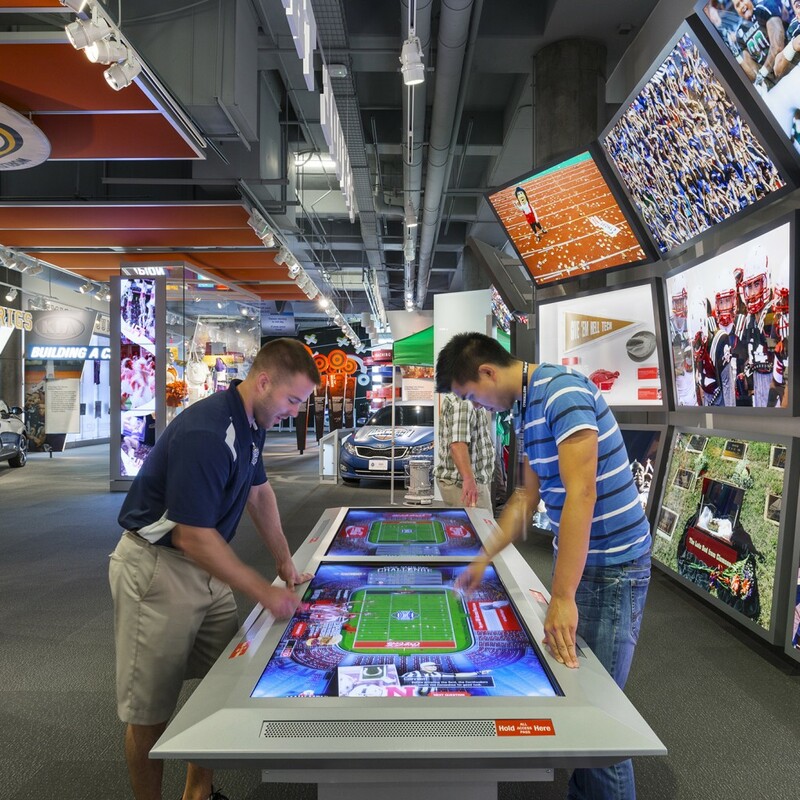 Category tags enable visitors to filter events based on their personal interests. 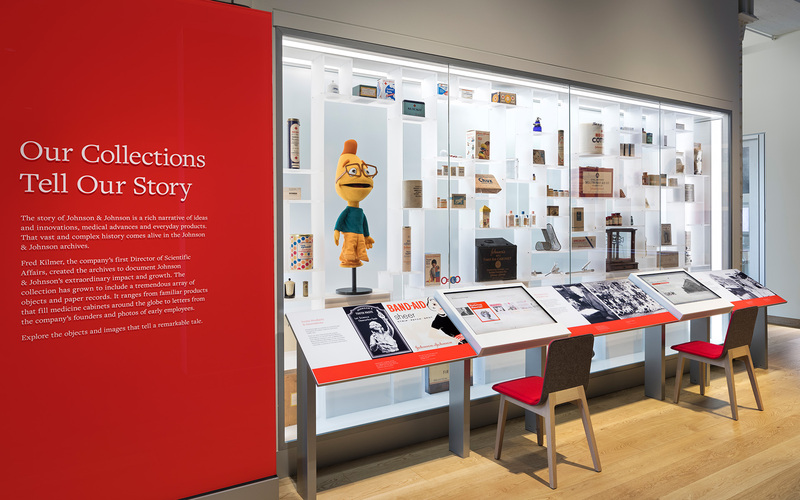 In Our Archives, the physical display enriches the digital interactive, giving visitors a taste of the company’s rich history that they can explore in the digital archives. 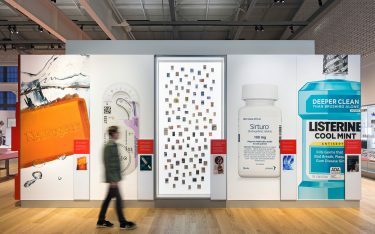 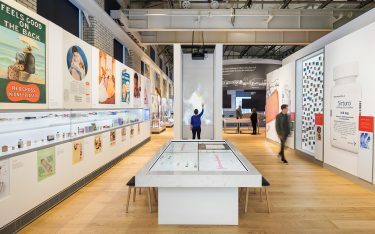 Mirroring the comprehensive digital timeline, this display case features one of the company’s most popular products: the Band-Aid and traces the evolution of its iconic packaging over the course of more than a century.